Gold Wolf – a blistering synergy of music that is original, fresh, fun and untouchable! North London based rock band, Gold Wolf is a group who doesn’t succumb and conform to the bland trends found so prominently in today’s music. 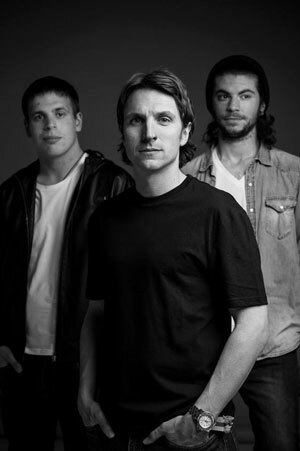 They possess an extremely tight-knit sound that mixes melody with crunch at free will. The guitar often comes in spurts while the drummer and bassist chisel away with abandon and precision. There are traces of Alternative to Progressive and everything in between that comprises the four letter word – ROCK. Not bad for a 3 piece band. But then again, if I switch my mindset back to the 60s, when three lads who went by the names of Ginger Baker, Jack Bruce and Eric Clapton fronted a legendary power trio called Cream, it becomes clear that if anyone knows how to truly engage a power trio, it’s the Brits! Simply put Gold Wolf is the type of band rock n’ roll fans get excited about. Their 5-track self-titled Ep is a blistering synergy of music that is original, fresh, fun and untouchable. And this much is clear from the minute the opening track, “California Queen” kicks in. If you think “Corporate” and “Rock” are two words that should never go together, then this track will further convince you of that fact. The drumming by Rosalvo Melo on this track is just phenomenal; tight, energetic, tasteful and always adding to the song. But although the drums cannot be overlooked, the entire recording simply rocks because of the sheer rock muscle supplied by the driving bass lines courtesy of Daniel Edmonds and Tom Roberts’ guitar that screams, lumbers, roars and intertwines with everything else, to spellbind the listener. The four minutes and sixteen seconds of “Equator” plays testimony to that. The songs are incredible in their structure, complete with creative time signatures and jaw-snapping arragements. 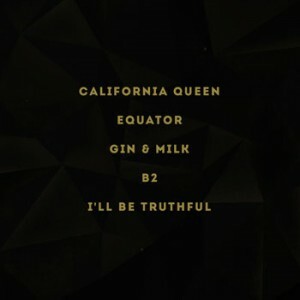 Bold and brash, “Gin & Milk” announces itself, with unmistakable bombast like the song of all songs – only to be surpassed by the crunch and melody of “B2” – which in turn, leads to another rip-roaring and soaring melody in “I’ll Be Truthful”. Three things are utterly clear here: Gold Wolf can play, they can sing and they can harmonize too! This must be one of the most eclectic rock recordings of recent years, at least among anything near the mainstream. Anyone who leads you to believe this recording is anything less than stellar is either burned out or not listening closely. I could go on about the diversity of this record, but that would be pointless, as it only makes sense when you hear it. This is one of those rare recordings that floored me the first time I heard it. Gold Wolf retains the same authenticity and integrity that kept the Foo Fighters at the top of the rock heap for years. Their music is pure and simple – no selling out to gimmickry. 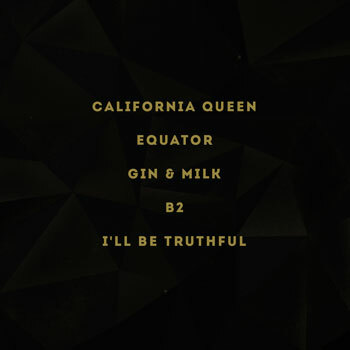 The tracks are exclusively based on quality songwriting, skillful performances and top notch production. And if, like me, you think they stopped making good rock in the 70s, you haven’t heard Gold Wolf yet!